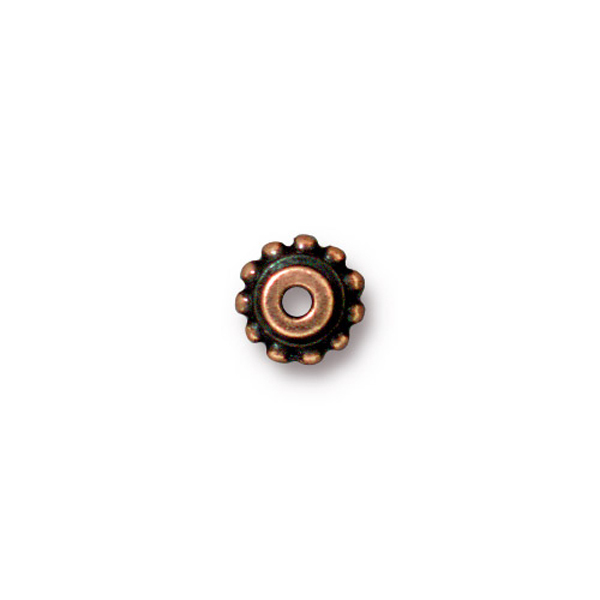 Proudly made in the USA, this large holed alignment bead allows you to use your large hole beads on regular stringing materials. The exterior measures 7mm with a 4mm peg for alignment. A high quality product at a reasonable price. Brass Oxidized plate over Pewter. Lead and Nickel Free.